This example problem demonstrates how to calculate freezing point depression using solution of salt in water. 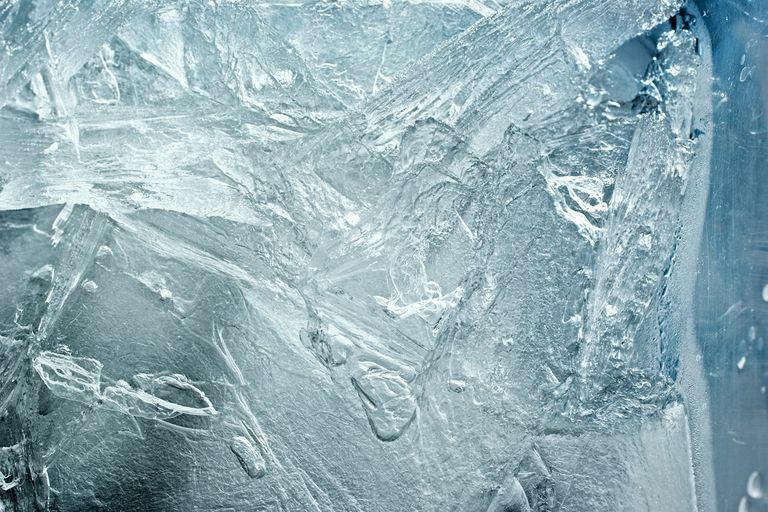 Freezing point depression is one of the colligative properties of matter, which means it is affected by the number of particles, not the chemical identity of the particles or their mass. When a solute is added to a solvent, its freezing point is lowered from the original value of the pure solvent. It doesn't matter whether the solute is a liquid, gas, or solid. For example, freezing point depression occurs when either salt or alcohol are added to water. In fact, the solvent can be any phase, too. Freezing point depression also occurs in solid-solid mixtures. Freezing point depression is calculated using Raoult's Law and the Clausius-Clapeyron Equation to write an equation called Blagden's Law. In an ideal solution, freezing point depression only depends on solute concentration. 31.65 g of sodium chloride is added to 220.0 mL of water at 34 °C. How will this affect the freezing point of the water? Assume the sodium chloride completely dissociates in the water. m = molality of the solute in mol solute/kg solvent. The van 't Hoff factor, i, is a constant associated with the amount of dissociation of the solute in the solvent. For substances which do not dissociate in water, such as sugar, i = 1. For solutes that completely dissociate into two ions, i = 2. For this example, NaCl completely dissociates into the two ions, Na+ and Cl-. Therefore, i = 2 for this example. Adding 31.65 g of NaCl to 220.0 mL of water will lower the freezing point by 9.21 °C.